PokerStars’ bid to acquire the Atlantic Club was dealt another blow when a state appellate court upheld a lower court’s ruling that terminates the contract. An agreement to purchase the Atlantic Club was brokered in late December and required PokerStars to pay $750,000 each week to keep the struggling casino afloat. PokerStars held up that end of the bargain and shelled out a total of $11 million of the $15 million purchase price. But another end of the bargain required the top online poker site to obtain license approval from state gaming officials by April 26. That provision was not met. PokerStars could not adhere to that clause in the agreement because its casino license application was not deemed as complete until April 10. Regulators were permitted another 120 days from that date to investigate the suitability of PokerStars and to make a final decision. The entire online poker industry would like to know if PokerStars would be found an appropriate licensee based on its continued catering to the U.S. market in alleged violation of the UIGEA in 2006. That suitability may never be determined in New Jersey as the courts continue to rule against PokerStars. This latest blow is likely not the end of the saga, however, as PokerStars officials have repeatedly stated their intentions to enter the online poker market in the U.S. via the Garden State. Many believe that New Jersey affords PokerStars the best opportunity to wrangle their way into the U.S. considering that no bad actor provisions appear in the state’s online gaming regulations. Nevada, as well as other states that are pondering online gambling legislation, have included restrictions that would preclude UIGEA violators from entering the market for a specific period. Proposals on the federal level also aim to penalize companies like PokerStars that worked their way around the UIGEA statute. 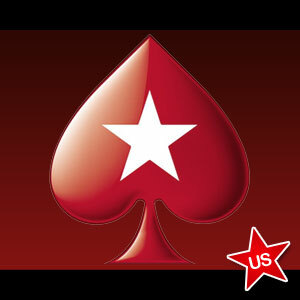 PokerStars has been absent from the U.S. online poker scene since federal prosecutors shut the door on their operations on Black Friday in April of 2011. With the online gaming market now beginning to open up in the U.S. following a DoJ ruling released in December of 2011 that allows individual states to enact legislation that excludes sports betting, PokerStars wants in. But nobody else in the U.S. seems to want to invite PokerStars to the party. That includes the American Gaming Association, who earlier this year filed a petition with New Jersey gaming officials that labeled PokerStars’ business practices of being deceitful. In addition to the $11 million already lost by PokerStars in the failed purchase,the poker site still owes the Atlantic Club a $4 million termination fee as part of the acquisition agreement that went awry. You can bet your bottom dollar that PokerStars’ attorneys are gearing up to fight that matter in court too. It’s not so much the money, as PokerStars just gave away $5 million to its players in June as part of promotions centered around 100 billion hands dealt at the site since its September 2001 launch. Those online poker hands will continue being dealt by PokerStars throughout the world except for the U.S. PokerStars enjoys more than 50% of the online poker market. Part of the reason for that huge customer base is due to remaining in the U.S. post-UIGEA. But it appears from recent decisions in New Jersey courts that PokerStars may not be dealing in the U.S. for quite some time.